Use Avery Templates to customize discount 3-ring binders, labels & dividers. How to use Avery Templates to customize discount 3-ring binders, labels & dividers. So, you probably already know you can to design and print custom Avery labels, presentation binders, index dividers and more at Avery Design and Print Online. But did you know you can use Avery templates to customize office supplies from Universal, the On Time Supplies discount house band? Well, now you do! Save time AND money by using Avery templates with discount Universal office supplies to print custom labels, binders and index dividers. How to print custom labels with Avery templates and Universal discount label alternatives. Nothing beats the convenience of Avery templates when you have a thousand shipping and address labels to print. 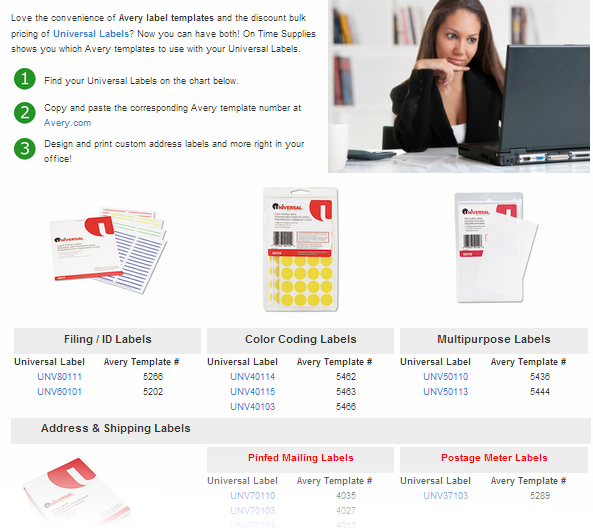 You can use Avery templates with Universal’s discount labels. You just need to know the compatible Avery label number. Luckily, On Time Supplies features an Universal /Avery Label Template Guide that lists that info for you. 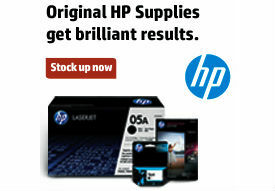 Once you’ve located your label and compatible template, just enter your label in the search box at Avery.com. How to print custom 3-Ring Binder Covers & Spines for Universal presentation binders with Avery Templates. You can also create custom presentation binders with discount Universal view binders and Avery Templates. You just need to know the size of your binder. Avery offers templates for 1/2″ – 2″ spine inserts and labels, as well as standard and mini 3-ring binders. Just find your binder size on the Avery binder template page and let your creative juices flow! How to use Avery templates to print custom table of contents index dividers on Universal alternatives. Universal index dividers are a great low-cost alternative to Avery Ready Index products. To use Avery templates to customize your Universal index dividers, you need to know the compatible Avery product number. Use the chart below to find the right Avery template for your discount index dividers.